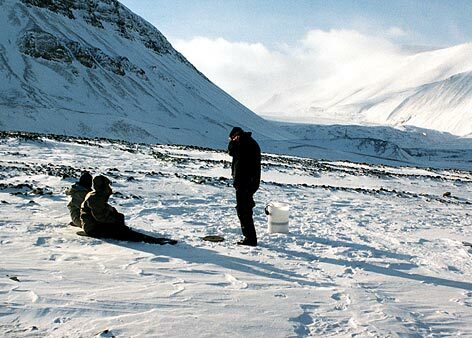 Producing, transmitting and receiving radio on Svalbard 1999. N55 works with art as a part of everyday life. N55 is a platform for persons who wants to work together, share places to live, economy, and means of production N55 is based both in Copenhagen, and in LAND. N55 has its own means of production and distribution Manuals for N55 things are published at www.N55.dk and in the N55 periodical. Furthermore, N55 things are implemented in various situations around the world, initiated by N55 or in collaboration with different persons and institutions. 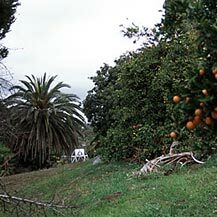 Most of N55 works are Open Source provided under the rules of Creative Commons as specified here. Any use of N55´s works must include proper credits to N55 and a link to www.N55.dk. N55 is financed by selling durable, environmentally and socially sustainable products, based on homemade Open Source systems and by exhibitions, grants and educational work. N55 suggests respecting conditions for description: logical relations and facts, as a basis for politics Ideologies, religions, subjective opinions, social conventions, and habitual conceptions do not necessarily respect conditions for description An example of a decisive logical relation is the logical relation between persons and their rights. Persons should be treated as persons and therefore as having rights. If we deny this assertion it goes wrong: here we have a person, but this person should not be treated as a person, or: here is a person, who should be treated as a person, but not as having rights. Therefore we can only talk about persons in a way that makes sense if we know that persons have rights An example of a decisive fact is that concentrations of power characterise our society. Concentrations of power do not necessarily respect person's rights Concentrations of power force persons to concentrate on participating in competition and power games, in order to create a social position for themselves. Concurrently with the concentrations of power dominating our conscious mind and being decisive to our situations, the significance of our fellow humans diminishes. And our own significance becomes the significance we have for concentrations of power, the growth of concentrations of power, and the conflicts of concentrations of power. 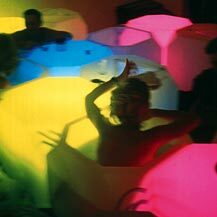 It is decisive that persons try to find ways of existing with as small concentrations of power as possible. 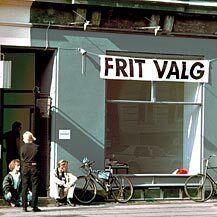 FRIT VALG (FREE CHOICE), Nørre Farimags-gade 55. Alternative to the Danish election,1994. 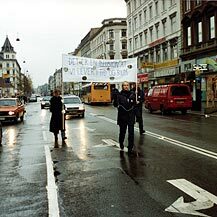 IT IS AN ILLUSION THAT WE LIVE IN TIME AND SPACE, demonstration, Copenhagen 1995. 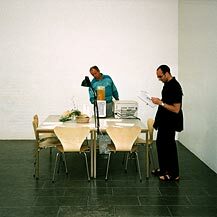 ART AND REALITY, Louisiana Museum, Denmark 1996. 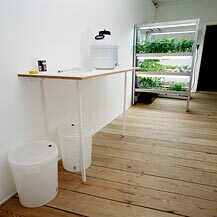 Beer brewing by Jakob Jakobsen and HOME HYDROPONIC UNIT by N55, Studiestræde 1997. HYGIENE SYSTEM - EXTENDED, Studiestræde, Copenhagen 1998. 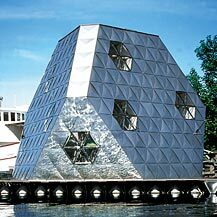 N55 SPACEFRAME and FLOATING PLATFORM, Copenhagen 2000.